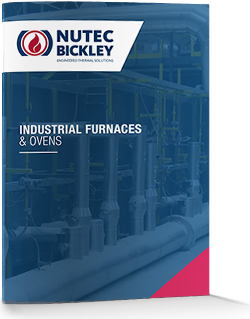 Nutec Bickley provides batch homogenizing oven systems with the best technology in our furnaces for aluminum logs and ingots before mechanical processing. Our equipment. Hydraulic or Electro Mechanical door lifting with synchronisation. 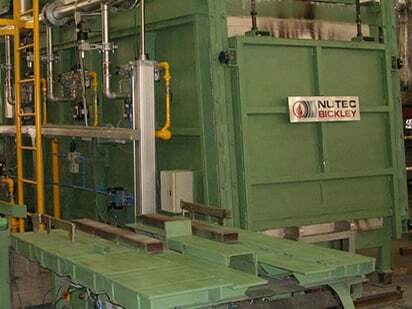 Static furnace or tilting furnace designs. SCADA control systems.Blast cool chamber after stress relieving process for safe parts handling, with infrared sensor control. 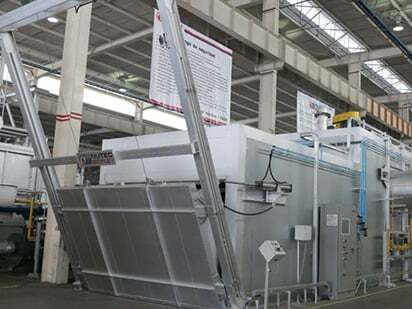 High convection oven design to improve the fast heat up of the aluminum. Reversing air flow system design to improve uniform heating. Reversing air flow system design to improve uniform heating in large products. 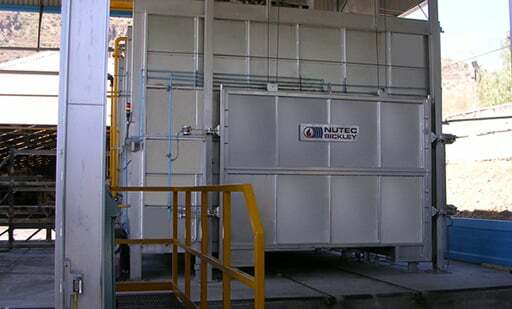 Use of external energy source using hot gases from existing melting furnaces when possible. Heavy duty and stable steel frame construction. 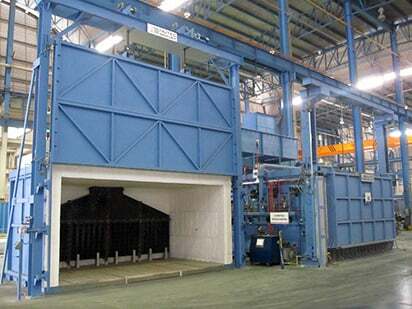 Control system capability to maintain stable furnace source operation. Fiber linned sections using modules system. Low maintenance systems and allows faster heat up of the furnaces. 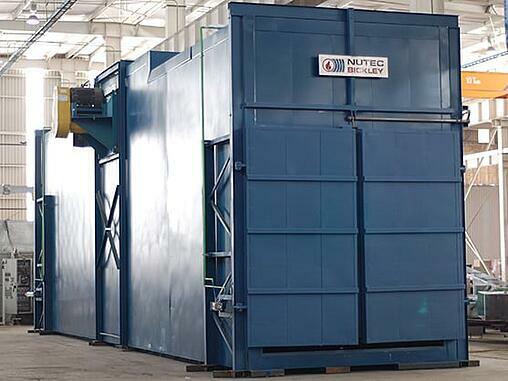 Blast cool chamber after stress relieving process for safe parts handling, with infrared sensor control. Load and unload tables with transfer system to allow easy product handling.